Yahia Lababidi is an Egyptian immigrant and Muslim in Trump’s America. His new book – Where Epics Fail – is a work of hope, peace and healing for our wounded world. Where Epics Fail, to be published by Unbound (UK), is a collection of 800 aphorisms composed over the last ten years. Unbound is the world’s first crowd-funding publisher, in partnership with Penguin Random House. 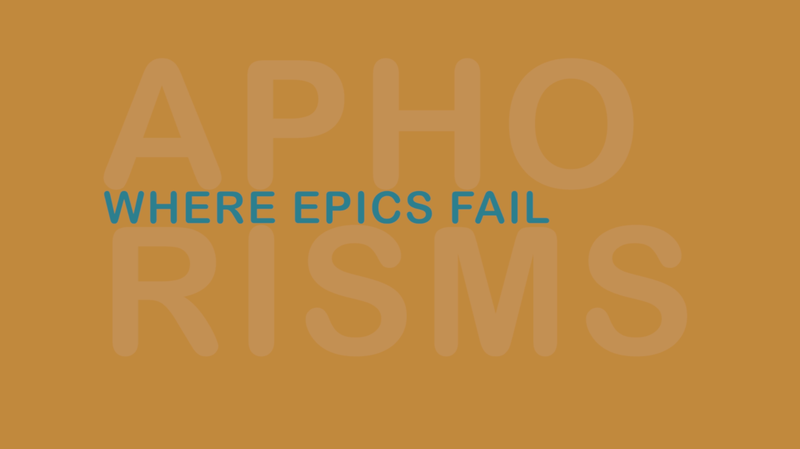 The term “aphorism” comes from the Greek “Aphorismos.” According to Oxford Dictionary, an aphorism is defined as: “a pithy observation which contains a general truth; a concise statement of scientific principle.” Hippocrates, a Greek physician of the Age of Pericles (450 BCE to 380 BCE), is reportedly the first person to use the term. The aphorism may well be regarded as one of the oldest literary forms, and yet, in this age of Facebook memes, text messages, and sound bites, it may be the most accessible and relevant form of literary expression there is. The aphorisms in “Where Epics Fail” exhort us to pay attention, believe we can make a difference, keep our hearts open in the face of pain, take responsibility for our actions, avoid ego and do the hard work that comes with sticking to ideals. Where Epics Fail is Lababidi’s seventh book. His first book of aphorisms – Signposts to Elsewhere, was selected for Books of the Year, by The Independent (UK). Signposts went on to be translated into Arabic, with a generous introduction by the late, celebrated Egyptian writer, Ahmed Ragab. Should you pledge/pre-order from the book’s webpage, your name will be included in the back of the limited hardcover edition, as a thank you.